Thread: Really confused about what to get! Help! Reading through all the topics, I think I'm more confused than what I first started in looking at buying a machine and grinder. I've been looking at firstly the Sunbeam 7100, then the Sylvia models, then the Lelit and also the Gaggia Classic. I'm definitely going to buy a Rocky Doserless Grinder, so really just need to work out what Coffee Machine to get with it. I've got an option to get a second hand Gaggia Classic for $100 but want to see whether it's worthwhile getting a secondhand one or just go and buy a new one. The Sylvia E models with the 30 minute turnoff also has made me think maybe this should not be an option, but does it really matter? Should I just not bother with the Sunbeam which is around $500 at the moment and get something better? I do like nice coffee - I tend to either drink Mexican beans or Axil Seasonal. I tend to drink a Soy Flat White. I currently have a wacaco nanopresso, aeropress, rhinowarez grinder and also a Brewover 2.0 machine and disappointingly a Nespresso Lavissima which I don't bother using any more. Any advise would be great, because I'm at a complete lost as to where to go. Last edited by lovethesmellofcoffee; 17th August 2017 at 11:30 AM. Reason: trying to add paragraphs! A Gaggia Classic for $100 is a good option. Rock solid, and if it breaks it is easy to fix. Also very easy to mod and add a PID. When buying second hand be prepared for a bit of cleaning and check the boiler seal, as they usually have a slight leak and the aluminium boiler face gets pitted and needs smoothing down. In this aspect the Silvia is more solid and the boiler not prone to leaking as it is all brass. I would not buy a new one of either. The new Gaggia post 2015 model certainly has its quirks, and generally considered to be not as solid and reliable as the old ones with more plastic being used and also an auto off timer. I don't have experience with the Silvia, but it's auto off is an irritation that pops up on the forums comments regularly. I like fixing things and am happy to DIY refurbish, so have a preference for second hand. If you have the tools and the interest, it's pretty easy. The Silvia and Gaggia Classic are both similar machines with single boilers. The Silvia has a brass boiler and internal element, while the Gaggia has an aluminium boiler and the element imbedded into the boiler wall, not in contact with the water. Both have pros and cons! I think I have a reputation for being pro-Gaggia Classic! I've been unable to upgrade mine as I haven't been able to get something sufficiently better to noticeably beat its shot quality and speedy warm up time. I have a PID, integrated shot timer, brass dispersion plate, preheater box and IMS screen, Rancilio wand upgrade...So it's had a bit of work done! For the initial cost involved, the Gaggia is always great value for money. The big drawback is the time taken to make a coffee since you can't steam at the same time, and you can't make lots of coffees in a row. This is the usual issue with single boilers. The factory standard machine has its temperature fluctuation difficulties and I would always recommend a PID if you are DIY savvy. If these (as I assume) are your first steps into the world of coffee you will find out that the Gaggia Classic is a wonderful machine to get started. And I would get it used. I wouldn't spend AUD700 for a Classic honestly, as for little more you can get an E61 second hand! The pros are that they are built very simply and thus really easy to get to know and to repair by yourself. The cons are that they are built very simply (again!) and you will soon find, depending on your curiosity, yourself wanting more and more. Particularly I am referring to how to get consistent shots, as this is not easily achieved. Yes, there are a number of flushing/temperature surfing techniques that you can adopt but, at the end of the day, the boiler is very small and you're basically driving blind. That's why the most common mod for the Gaggia (after the Rancilio wand) is the addition of a PID. If you get one please do yourself a favour and get one of those made in Italy and not in Romania. You can find several of them around, an honest price for an Italian model is around AUD250 if well kept and depending on accessories. Personally, I prefer not to take brands like Sunbeam of Breville. It's not that they are not good, but you will find that they are cheaply built and don't last very long, plus the resale value is in the proximity of zero. 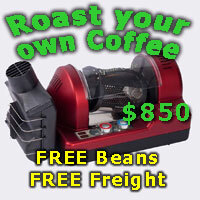 Whereas if you take a Rancilio or a Classic, you can resell it around the same price. But this is just me, depending on the model you can get good extraction even from those. All the best for you choice! Thanks guys, I bought the Gaggia Classic and have just purchased the rancilio wand through ebay to upgrade it. I also can't believe how much a great metal tamp increases the quality of a coffee! Wow. Just bought one yesterday and the coffee today was amazing! Now to get my grinder so I don't need to use my hand one for coffee! Oh No, I was too late to say my EM 6910 is going strong after over 10,000 shots, a Dec 2007 build date. However, as long as you get it sussed, and enjoy great coffee, who cares what you make it with! There is the M model of the Sylvia available that doesn't have the auto cut off, just the traditional manual on/off control. Great to hear, enjoy this beautiful journey!